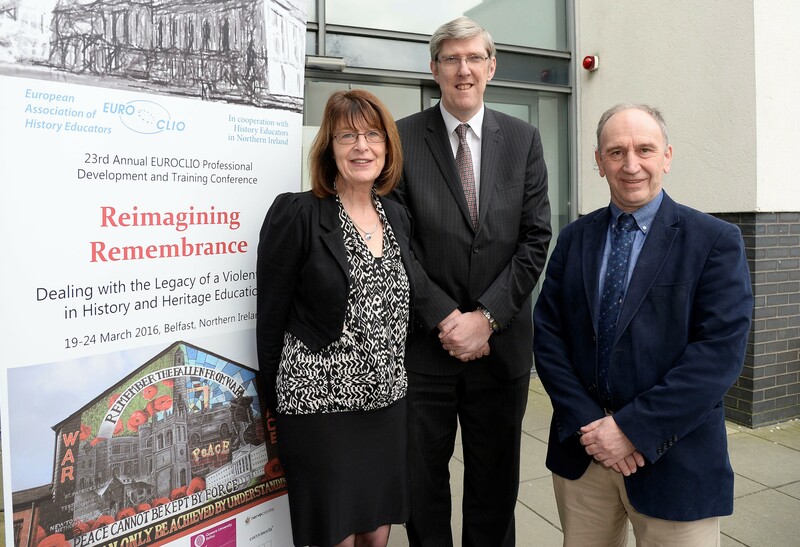 I am delighted that EUROCLIO chose Belfast as the venue for this year’s conference. The theme is particularly relevant for schools in the North this year, given that the spring and summer of 2016 will see two important events being commemorated locally, the Easter Rising and the first day of the Battle of the Somme. Both events have shaped cultural and political attitudes here and I am sure delegates will have much to share on how we encourage all our young people to appreciate the historical and contemporary significance of the events that took place one hundred years ago. The Ministry of Education has launched a campaign titled “Education Works” to help parents get involved in their children’s education.